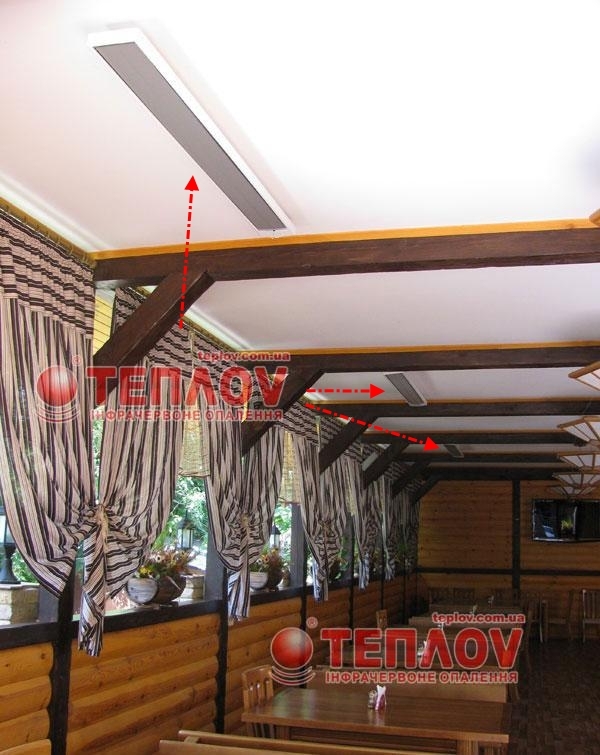 Ceiling heating of summer terrace of the bar. The owners of cafés, bars and restaurant, as nobody understands, how it is important to care about your clients, to provide their comfort at any season. 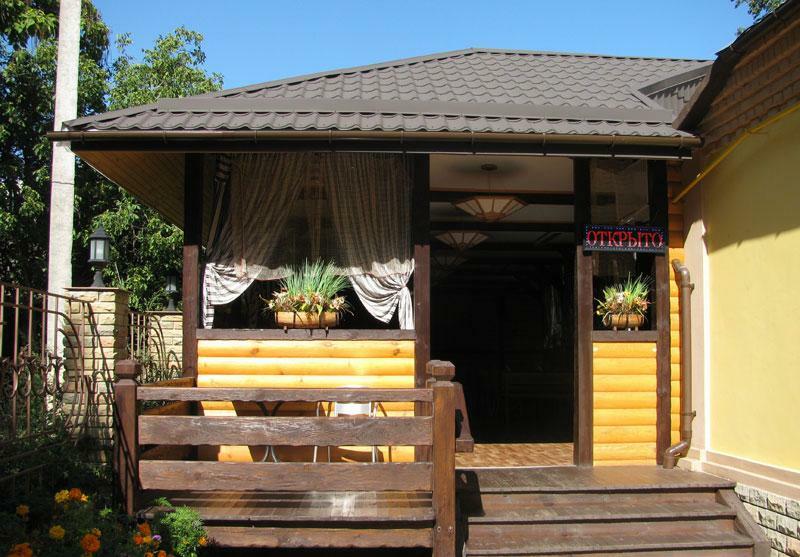 Besides the qualitative cuisine and service, it’s necessary always remember about the question of heating the café. Its importance is beyond a doubt, indeed the heating system in any premise, where constantly people are, is considerable and necessary item of spends, which wants to cut without the loss of quality. The heating of the bar, even not big, as a rule begins from the question of choice the heating method. It’s possible to rely on convective systems or system of central heating, if it functions in your premise, however the result, which you’ll get, hardly will be positive. Such heating systems, for today, don’t considered the most effective, because in time of heating the café they heat the air, which is easily rises and goes away in slits. We propose really economic method, which will provide the high level of warming up of the premise in case of expenses, which are on 40% less then at using of traditional systems of heating. The heating of the bar will become the pleasant process, which doesn’t require the constant intervention. The infrared heating is a choice in favor of modern, effective, qualitative and economic method of heating. IR rays can realize the heating of café in different zones, where people can relax under pleasant soft warmth of natural origin. Separately we should touch the moment, concerning the heating of the summer terrace. 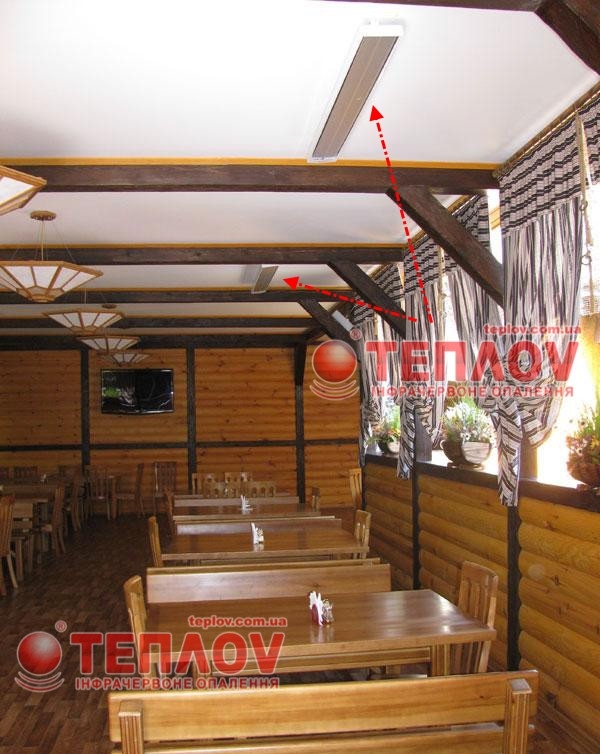 The infrared heaters Teplov, installed after clear thermal calculations, help considerably to cut the heat losses, which are usually exist at the semi-opened space. The heating of the restaurant with a help of infrared radiation supposes direct impact to all subjects, which are in the field of these actions. This method of heating acts in a such way, that even man can feel IR rays. Just due to this, infrared heating of summer terrace will be noticeable already after 10-20 minutes of work from the moment of start. The heating of the café includes the choice, installation and start of the infrared heating system. All this perform our specialists with a long-term experience. We’ll find the approach to each client with a pleasure, because IR heaters – is a possibility of creation personal and unique system of heating. 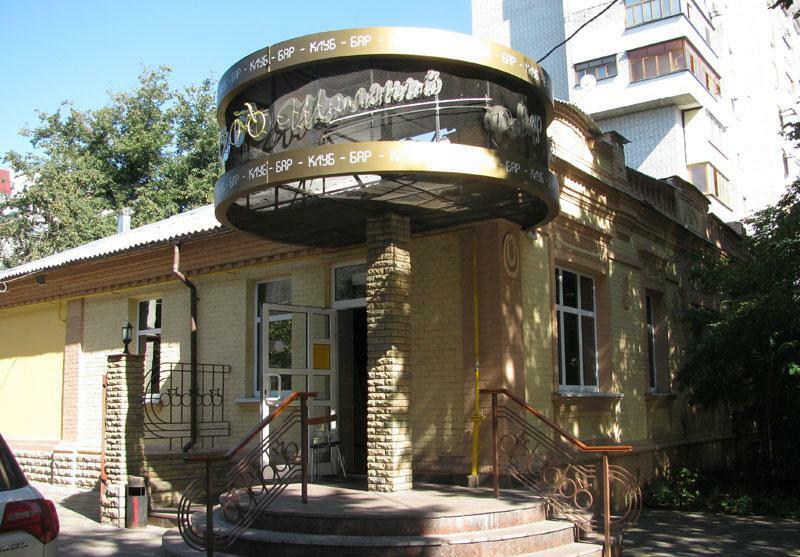 The heating of summer terrace of bar “Shalenyi Rover” in Cherkassy city is the bright example of such approach, and also using of IR heaters in the quality of the main heating for creation of comfortable atmosphere in the place, where people relax.